Whitney Langlois was born on June 4, 1916, in New Roads, Louisiana. 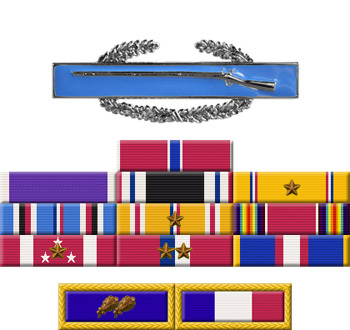 He was commissioned a 2d Lt of Field Artillery through the Army ROTC program at Louisiana State University in May 1940, and went on active duty beginning August 15, 1940. 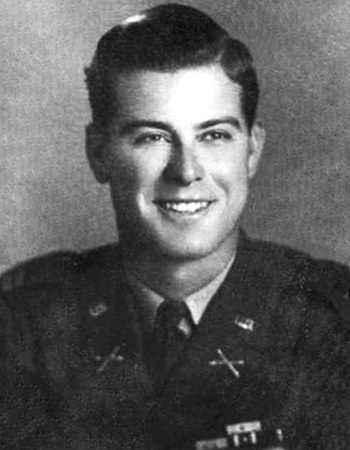 After completing Field Artillery School at Fort Sill, Oklahoma, Lt Langlois was assigned to the 23rd Field Artillery Regiment of the Philippine Scouts at Fort Stotsenburg in the Philippines from August 1941 until he was captured and taken as a Prisoner of War by the Japanese on April 6, 1942. After spending 3 and a half years in captivity in both the Philippines and Korea, including surviving the Bataan Death March and three Hell Ships-the Oryoku Mura, Enoura Maru, and Brazil Maru; Capt Langlois was repatriated on September 7, 1945, and arrived back in the United States on October 16, 1945. He was briefly hospitalized to recover from his injuries before being honorably discharged from the Army on September 24, 1946. Following the war, he rejoined his wife and daughter, and returned to Louisiana a year later, where he took up the welcome peaceful pursuits of raising cattle and chickens, growing a tremendous garden, and buying Bellingrath Water Company. He was going to make sure that neither he or his family would ever be hungry or thirsty again. He also later became a supervisor of agricultural education for the Louisiana Department of Education. Whitney Langlois died on April 17, 1988, and was buried at St. Mary's Cemetery in New Roads, Louisiana. Whitney and his wife had five children together: Whitney Elizabeth "Beth" Cooper Langlois, Ethel Maria Langlois D'Antoni, Flora Antoinette Langlois, Alice Cooper Langlois, and Whitney Antoine Langlois, Jr.